If you have a different version of the Edge browser, your process may vary. It is recommended that you do not clear cookies. 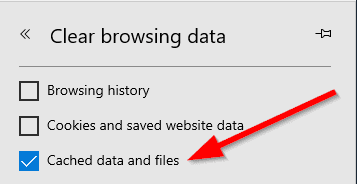 To view your browsing history, select Favorites then History . 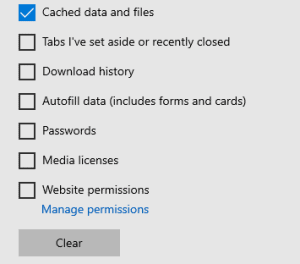 Check the box next to Cache data and files. 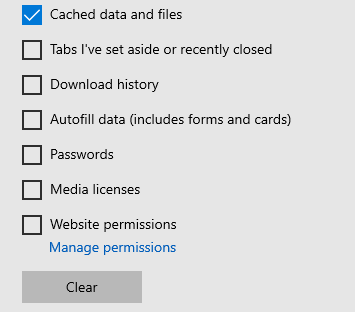 All other boxes should be unchecked.